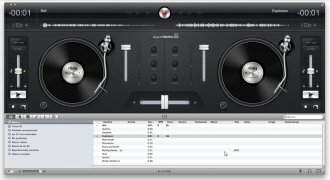 Turn your Mac computer into a complete platform to mix music once you download djay, a program for DJs who want to use their iTunes library. 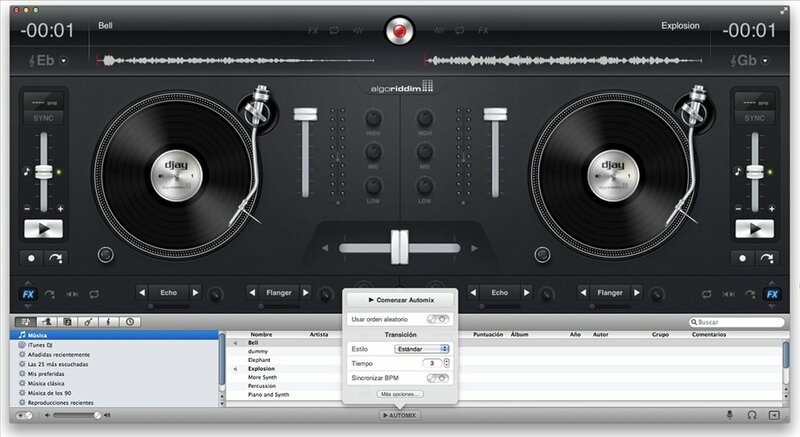 Get hold of djay and you'll have the perfect workmate for your music mixes. 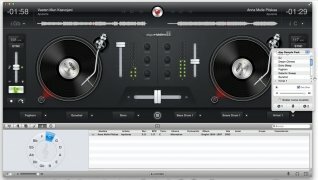 A new experience in software for DJs. 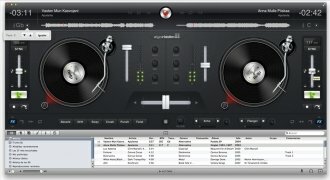 Program for DJs that allows to mix music on a Mac computer. Compatibility with MP3, AAC, AIFF, WAV, MOV, Audio-CD, etc. Realistic interface which simulates the aspect of a professional DJing booth. 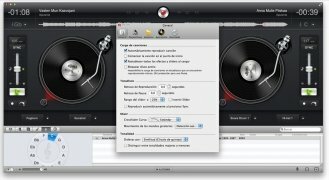 Automatically detect the tempo of your songs. 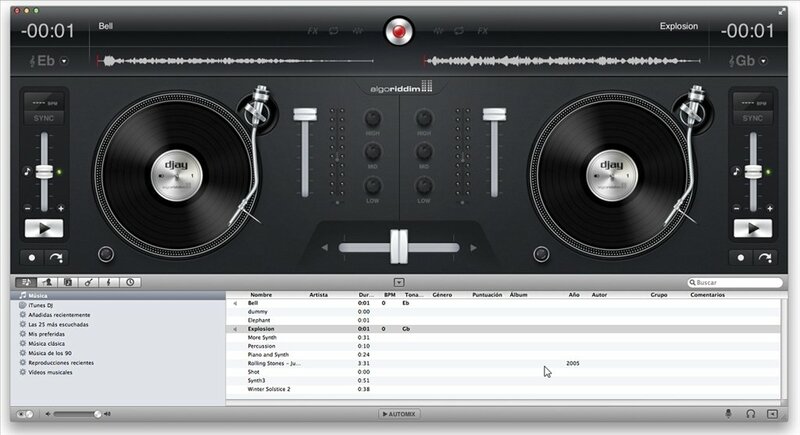 Includes 'Automix' mode capable of mixing your playlists with the automatic mode. 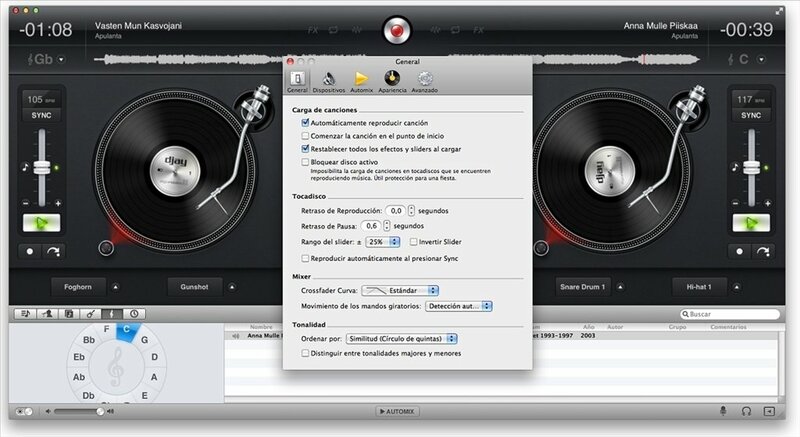 Select and mix your tracks by means of the harmonic concordance system. Combine the software with MIDI controls an microphones. In these programs it's very common to have a BPM controller and other features which will help the user to create near perfect mixes, but djay goes a step further. Among its features you'll find the Harmonic Match function, in charge of detecting the note on which the song is based. Thus you can quickly find songs which complement each other perfectly, improving the harmony of your mixes. Download djay now and start dancing to the beat with your friends. Requires Mac OS X 10.5 or above.